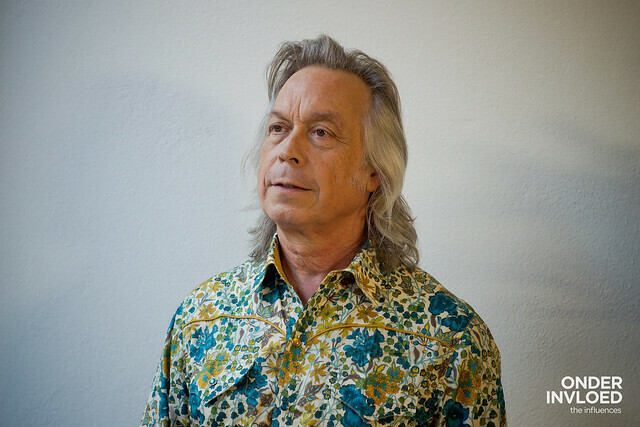 Roughly five minutes after I posted a photo saying I just filmed a session with Jim Lauderdale, I got a message from young Dutch country singer Demi Knight. Stating her disbelief and admiration for Lauderdale. Truth is, Lauderdale has himself been an influence for many country, bluegrass and Americana songwriters for centuries now. It’s not that often I film sessions with a winner of multiple Grammy Awards, and a writer of songs that were recorded by the likes of Elvis Costello, The Dixie Chicks, Blake Shelton, Patty Loveless, George Straitt and many more. Lauderdale has been writing and recording songs since the seventies and is still keeping up his productivity, releasing one album after another. His latest single Time Flies got a premiere on Rolling Stone, the same magazine Lauderdale used to work as a messenger in the early 1980’s. It’s the title-track of his new record due out on August 3rd. On that day, Lauderdale will also release another record that he recorded with mandoline-player Roland White in 1979. At the time, he couldn’t get a record label to pick it up, later the master tape got lost for decades, until White’s wife dug it up from the bottom of some box. In this session, he recorded Halfway Down, a song he wrote that was recorded by Patty Loveless. ‘I started writing this song on my first ever visit to The Netherlands in 1991, supporting Emmylou Harris with my friend Buddy Miller. A journalist said something negative about having our best years behind us, which inspired me to write this song.’ Watch it, along with two beautiful covers of Gram Parson and Bob Buchanan’s Hickory Wind and Merle Haggard’s I’m A Lonesome Fugitive below. TakeRoot is a wonderful festival for (American) roots music in Groningen. Last year’s edition marked the 20th anniversary for the festival in the North of The Netherlands. The Influences filmed sessions at the festival. This is the last one from the 2017 edition.